The move to allow e-voting by NRIs got a major push with the Modi government today submitting before the Supreme Court that the union cabinet would soon consider a draft bill in this regard before it is tabled in the parliament. The government is also planning to extend the facility to armed forces personnel and defence personnel and their family serving away from their native place, including abroad. A bench headed by Chief Justice H L Dattu then directed the government to enable e-voting by NRIs within three months after making necessary amendments to Representation of Peoples Act 1951 which deals with elections in the country. Lawyers representing the Centre and Election Commission sought three more months time from the court in this regard. Once this is allowed the NRIs will not have to fly down to their hometown during the elections. Till now only a miniscule of them came to India to vote given the expense and time involved. The government told the court that it has approved e-ballot voting for Indian passport holders abroad, recommended by the Election Commission in a report, and it would have the process in place after amending laws. According to the EC, the e-postal ballot system has almost no risk of manipulation, rigging or violation of secrecy. It is heartening news for an estimated 25 million NRIs across the world. 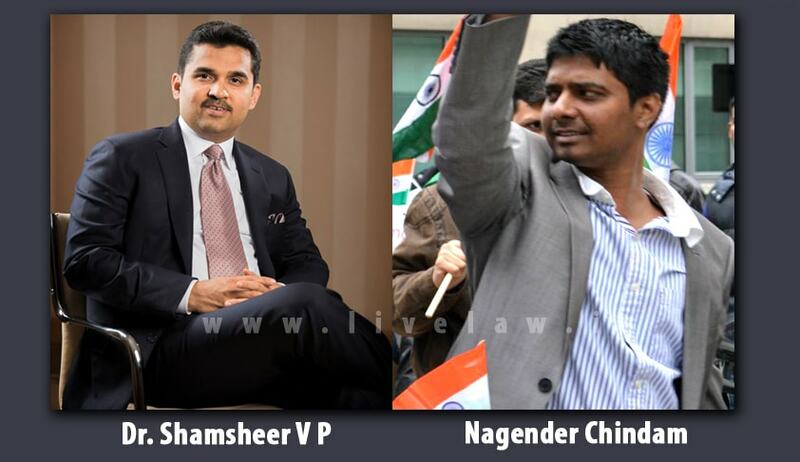 It is a big victory for Nagender Chindam, Chairman of the UK-based ‘Pravasi Bharat’ and Shamsheer V P , an NRI from Kerala who took up the cause a year ago and knocked the doors of the apex court. "This is a huge step forward for us," said Chindam reacting to the government submission. “Voting rights cannot be denied to those who go outside for study or in search of employment. As India finds itself in the throes of a positive political transformation, 25 million NRIs could realize their dream of redefining the political landscape of the country by finally casting their ballot from wherever they are instead of physically coming to India,” says Chindam. “We are excited after this positive outcome on this case, which could change the dynamics of Indian politics and will be historic in our largest democracy. The court order means an astonishing average of 18,000 votes per constituency may get polled from abroad. These additional votes, if polled, will obviously play a crucial role in state and general elections”, says Chindam.